Preparing and thinking what to prepare for lunch and dinner is such a task especially when Y (and BOS) is a picky eater. 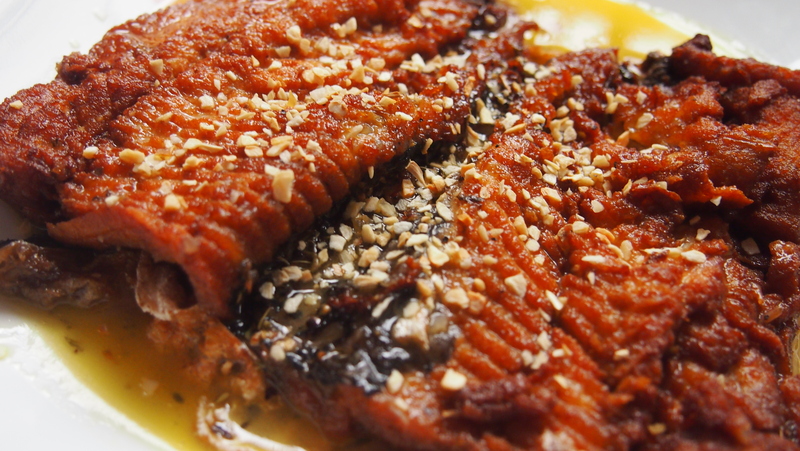 Fish is one of those that needs to be cooked in such a way that they will eat it without me hearing any complains. I like to eat fish but I don't like the ones that are "matinik". Hehe! I do my groceries and go to the palengke every two weeks. 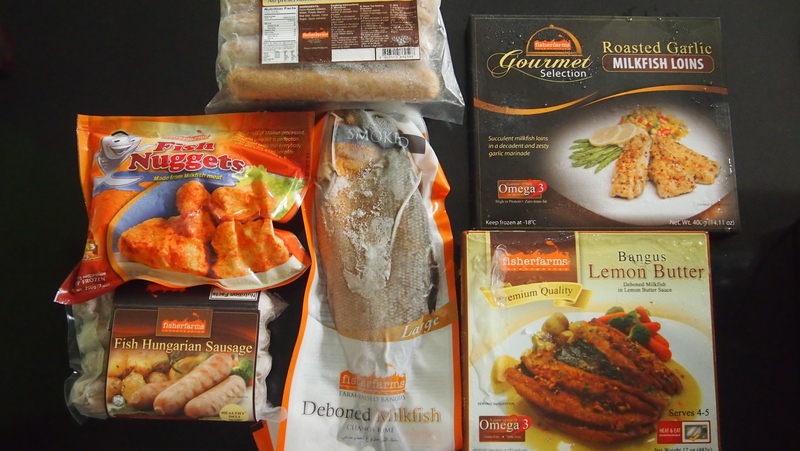 But there are days when I don't feel like going to the palengke to buy our meats and veggies, I just buy it all in the grocery and when it comes to meat and fish, I only buy the trusted brands and I recently added a new brand to my list, Fisher Farms. Fisher Farms is the leading aquaculture food processor in the Philippines. They supply the widest range of premium quality fresh, frozen, value-added, and completely processed seafood products to groceries, restaurants, disributors and hotels all over the world. They grow most of their milkfish in the pristine waters of Pangasinan. 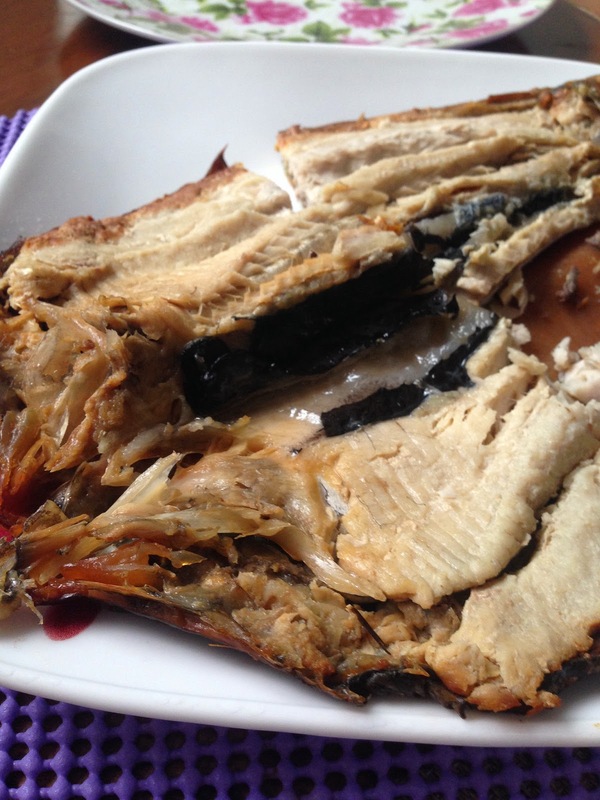 Milkfish grown in salt water have sweeter, more flavorful, firmer and cleaner flesh than grown in ponds. Fisher Farms control the diet of its catch and just use the right amount of feeds therefore there's no excess to pollute the environmet. To date, Fisher Farms has the largest number of sea fish cages in the Philppines. People from Fisher Farms were so generous to send us their products for us to try. I didn't have to buy our fish stash for 2 weeks! Thank you so much!!! I immediately had the kids try the Fish Nuggets. Y loves chicken nuggets but we don't really serve this often. Fish is a great alternative and the kids loved it. Didn't get to snap a photo though but here's a product photo. THey also have Fish Patties! 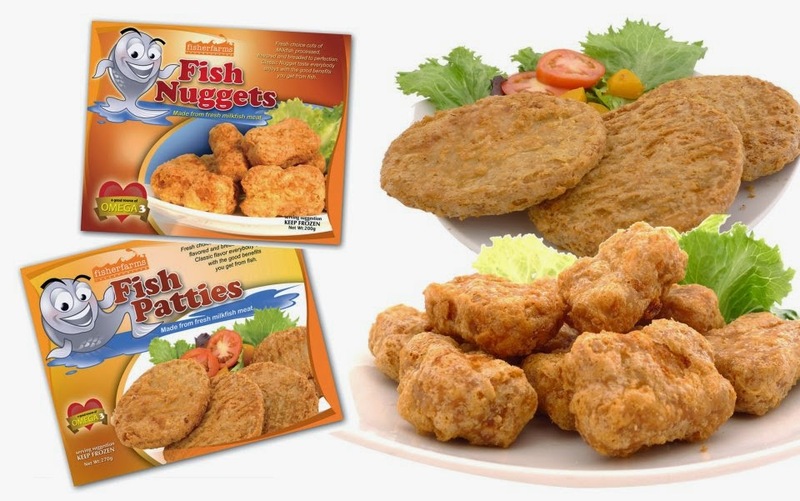 Fish Nuggets come in 12 pieces fer pack and retails for Php67.00 only! Since my kids and BOS also love hot dogs, making them try Fisher Farms Fish Hungarian Sausage and Franfurters is easy peasy. BOS asked if it's really fish because it doesn't have that "malansa" taste while the kids ate them happily! We always cook our hot dogs in the oven toaster. Less oil! 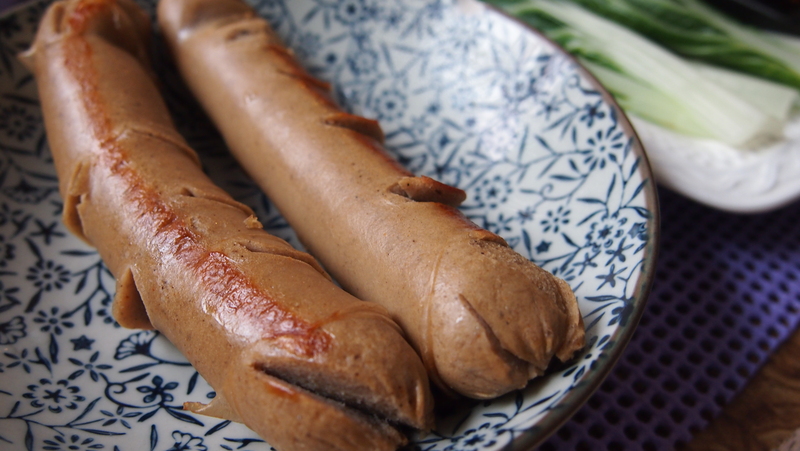 This is the Fish Frankfurters, 12 pieces in 1 ack, retails for Php393.00. 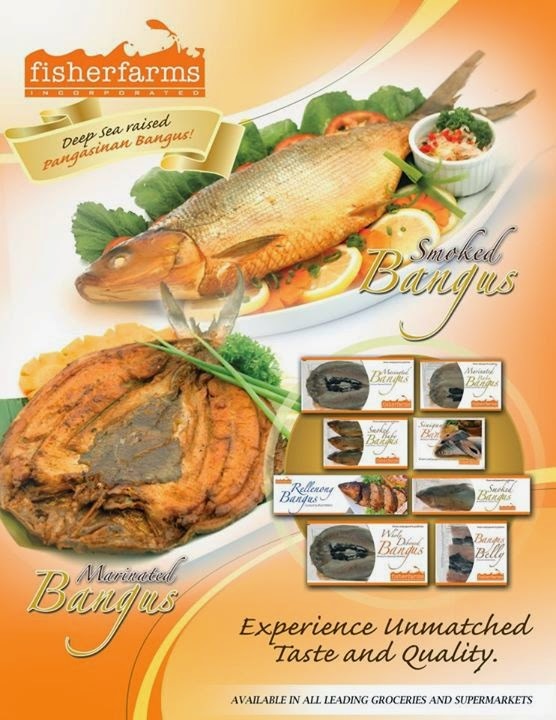 While the Fish Hungarian, 4 pieces per pack, retails for Php112.00. My favorite is the Bangus Lemon Butter! It's easy to prepare as it's already cooked. No need to defrost, just put in the microwave. This is perfect for quick meals and for days when you're lazy to cook. And it's super yummy! I loved the lemon butter sauce that comes with it. It can serve 2-4 people. The next one that I tried was the Roasted Garlic Milkfish Loins. The kids also got to try this one. This is my next favorite! 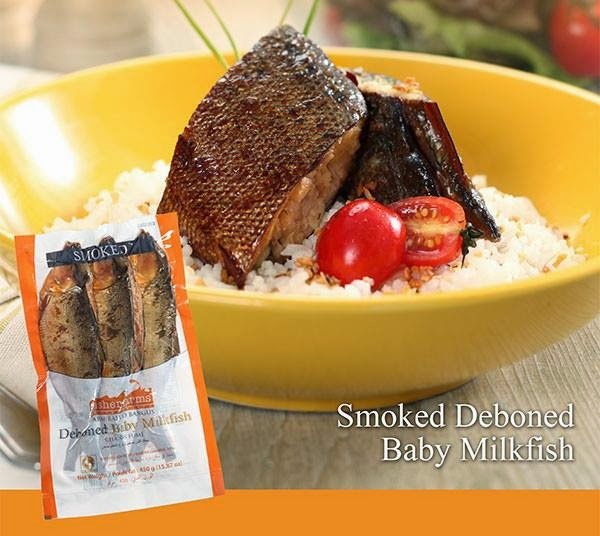 And last but not the least, is the Smoked Deboned Milkfish. I'm not really a fan of smoked fish of any kind but I wanted to give myself another change to try it again. It's good with suka! Fisher Farms uses virgin Beechwood chips for their smoked products. 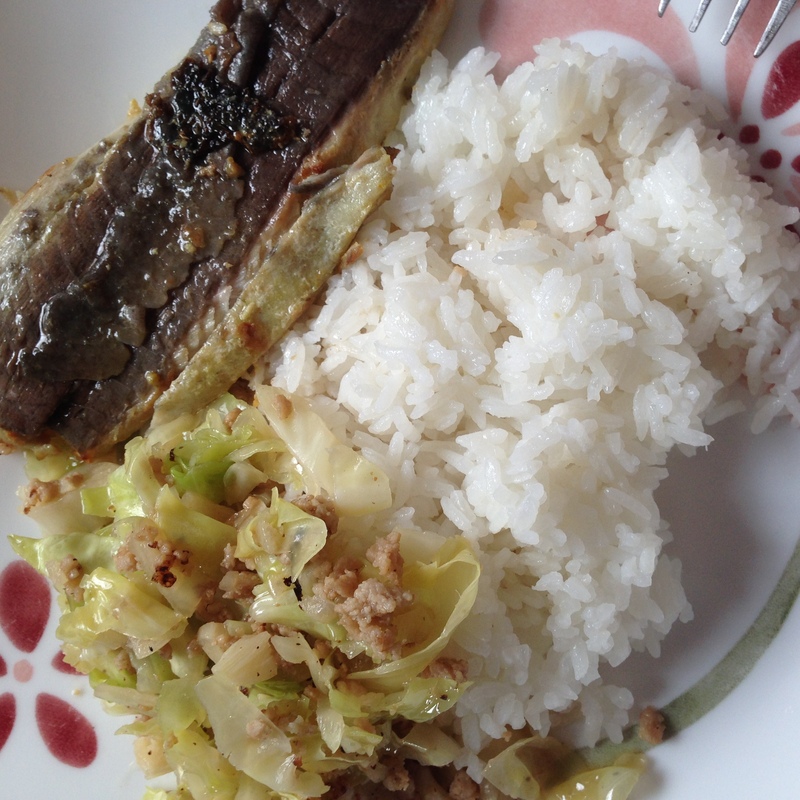 It also comes in Baby Milkfish which I think is perfect for our house because yaya only cooks for one, me! 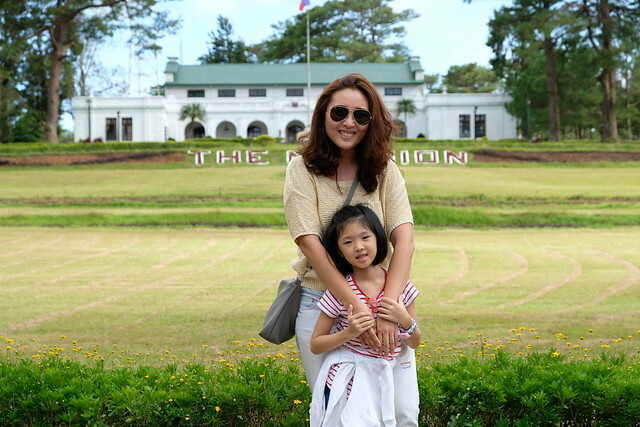 Fisher Farms also offers Marinated Bangus and Bangus Sisig which I would love to try! I find my kids like to eat fish than other meats because it's easier for them to chew fish, which is why I'm happy that there's Fisher Farms so I can serve healthier meals for my family! 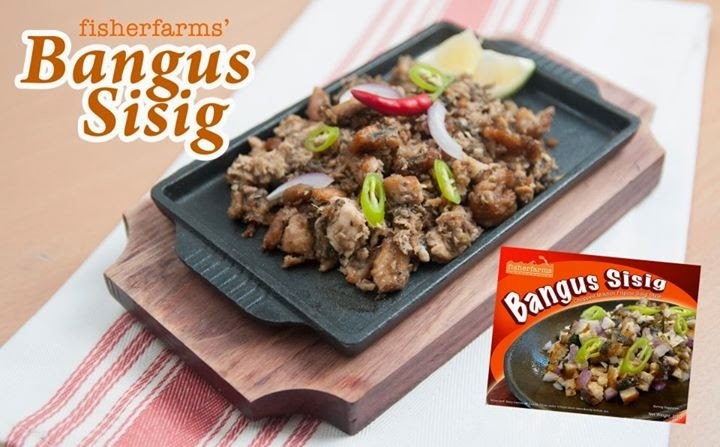 Oh and must remember to put Bangus Sisig on my grocery list! Heehee! Fisher Farms is available in S&R, Rustan's, Robinsons, Landmark, SM Supermarket, South Supermarket, Unimart and other leading supermarkets out there! To know more information on Fisher Farms, even recipes! 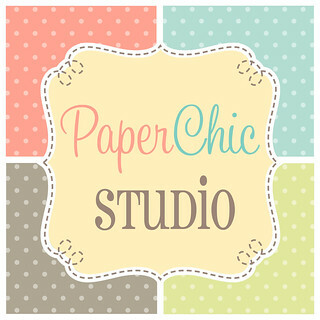 Check their website and social media accounts!